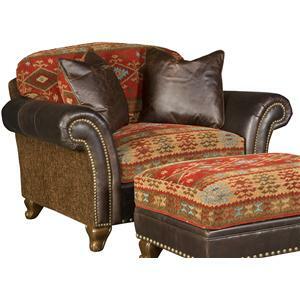 Relax and unwind in this handsome, plush chair. This chair and a half is perfect for one person, or to cuddle up with your sweetheart. 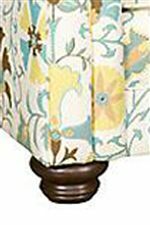 Rolled sock arms and a skirted base add casual style that you are sure to love in your home. Two 21 inch throw pillows complete the look of this chair perfectly. This chair is also totally customizable to suit your style. 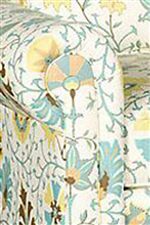 Choose attached or semi-attached back pillows, then pick from panel arms, sock arms, or track arms. Next pick a skirt, turned leg, or tapered block feet for the base and finally choose the fabric, leather, or both for your one of a kind chair. Relax and unwind after a long day by watching TV or reading a book on a chair that is truly your own creation. 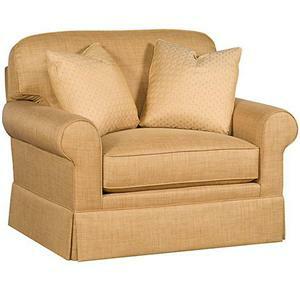 The Winston Transitional Chair and a Half with Skirt by King Hickory at Stuckey Furniture in the Mt. Pleasant and Stuckey, South Carolina area. Product availability may vary. Contact us for the most current availability on this product. Fabric Options Approximately 600 fabric choices. All fabrics are 4-way pattern matched and sewn with 8-ply nymo threads with 6 stitches per inch. Front welts & outbacks are pattern-matched. Floral fabrics are flow-matched. * For GREAT ROOMS collections: This collection features a “married special” program that lets you choose from a select group of fabrics at a special price. 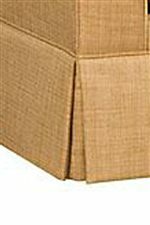 You may also choose from approximately 600 alternate fabrics, but pricing and availability may vary. Frame Construction Frames are 5/4” kiln dried, solid hardrock maple and poplar with double-doweled, corner-blocked, glued & screwed construction, built-in legs where available, and added reinforcement on all stress areas to prevent warping over time. 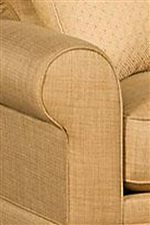 Seat Support Hourglass-shaped steel spring construction with eight-way hand-tied & knotted seat suspension and four-way hand-tied Marshall spring backs on all camel back sofas and wing chairs offer superior comfort. Padding & Ergonomics Solid high-resiliency foam cushions wrapped in 2 oz. of Dupont high-resiliency Dacron. Muslin-bagged & sewn cushion cores measure 7 1/2” from crown to crown. 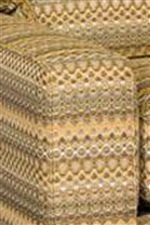 All sofas are wrapped in Dacron and cotton before fabric is applied. Warranty Lifetime frame warranty, 5-year spring/cushion/mattress warranty, 2-year sofa-bed mechanism warranty, 1 year fabric warranty. 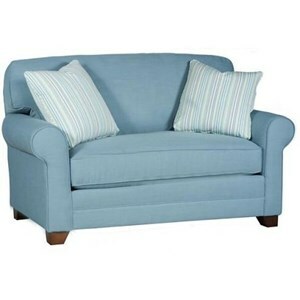 Relax in casual comfort and style with the addition of this chic Winston collection to your home. Totally customizable to suit your style and needs, choose attached or semi-attached back pillows, then pick from panel arms, sock arms, or track arms. Next pick a skirt, turned leg, or tapered block feet for the base and finally choose the fabric, leather, or both for your one of a kind piece. Throw pillows complete the look of most pieces for added comfort and plushness. With this stunning Winston collection in your home, you will love having this one of a kind collection designed by you to show off to your family and friends. 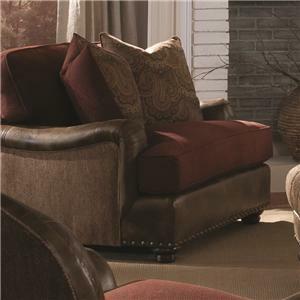 The Winston collection is a great option if you are looking for Transitional furniture in the Mt. Pleasant and Stuckey, South Carolina area. 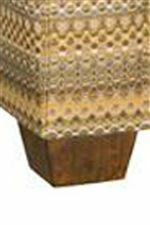 Browse other items in the Winston collection from Stuckey Furniture in the Mt. Pleasant and Stuckey, South Carolina area.